Sad news but outlived his expectations. A giant of our world has died. A great shining light on a universe of ignorance has gone out. so sad :( at least he didn't have to winess further devoloution of the human race. 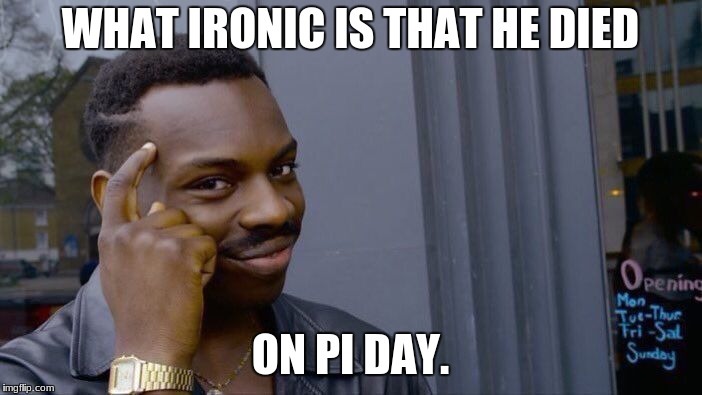 I give my respects. An incredible asset to humanity. You will be missed ! 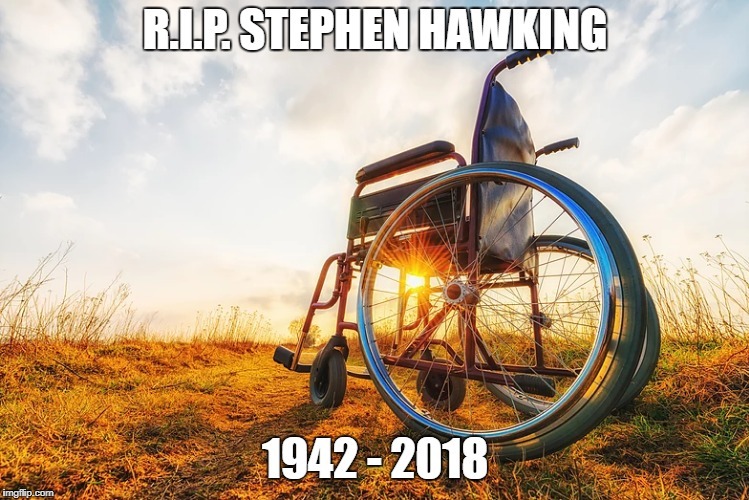 This memorial meme deserves 1 000 000 upvotes, RIP the greatest mind of the modern era you will be missed? I agree. Happy it's on the front page but think it should set some records. I'd like to see it at number 1 too.. it's a great tribute.. kind of dissapointed at what's up there now! May this bright star in a vast universe of scientists rest in peace. Rest in ravioli, my pepperoni. You will never be missed. He was an overrated fraud. He was a star, and now the dies with a supernova of inspiring new scientific minds. RIP.